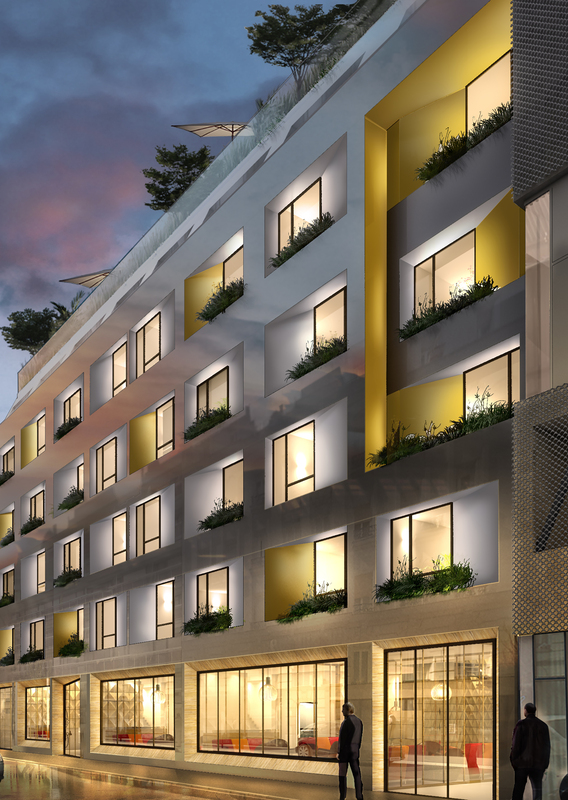 Paris, 2018-Aug-03 — /Travel PR News/ — Novaxia has completed the acquisition of 61 rue Buzenval and is beginning construction of a new hotel concept, the first JO&JOE Open House within Paris itself. Located in the heart of a young and vibrant district, this is one of 8 “Reinventing Paris” projects that have already begun work. Its aim is to promote mixed-use urban locations in order to better respond to changing trends in travel behavior, as well as offering public spaces open to all Parisians. “From the moment we were awarded the contract, Novaxia has been committed to working as closely as possible with local residents. Our goals for this project are to root it firmly within its economic and social environment, to open it up to local residents, to offer both private rooms and shared dormitories, creating a mixed-use building that will suit the needs of all customers in an environmentally sensitive way. Through this partnership with JO&JOE, we are providing a response to an increasingly demanding clientele that is ever more connected and loves new concepts”, said Joachim Azan, Chairman of Novaxia. Focused on a wide audience, this 1,465m² project was designed in conjunction with architects Studio Ory & Associés and features almost 160 beds. Open to the public, a rooftop spanning 110m² is THE place for Open House residents to meet and chat with Parisians in search of a new and lively venue, in a welcoming and relaxed atmosphere. The building features innovative and modern wooden architecture that is environmentally friendly. The open-air terrace brings a new green space to the city, and improves the quality of life of local residents. Activities to promote integration into the social and economic fabric of the city and create an immersive experience for travelers and locals alike. The JO&JOE Paris Buzenval Open House aims to become a vibrant location that is connected to its surroundings. The restaurant, which is open to all, will promote locally sourced produce from local partners in the farming industry. A workshop focused on sustainable modes of travel, such as cycling, as well as many other activities will be offered both to staying guests and locals living in the Open House’s neighbourhood. “The innovative vision of the hotel concept that Novaxia submitted to the City of Paris is consistent with the values that we promote within our properties. We look forward to opening the next JO&JOE in the heart of this young and vibrant neighborhood by combining he best that the traditional hotel sector and youth hostels have to offer. This will be an original location with a unique design, whose watchwords are sharing and diversity. It will be a vibrant venue, where it will be fun to share and enjoy new experiences, a place that guests can discover and rediscover each time they visit. It will be where locals and travelers meet in the evening, to enjoy a drink or a meal with friends,” explains François LECLERC, VP – JO&JOE Brand and Operations. Launched in September 2016, AccorHotels Group’s new brand meets the expectations of the “Millennial-minded”. Seeking an open, connected and rewarding environment, the brand has joined forces with Novaxia. The JO&JOE Paris Buzenval Open House is the first to be launched in Paris itself. After a first location opened in Hossegor in 2017, with a second to be unveiled in Paris Gentilly in March 2019, the brand has already committed to opening more venues in leading European and global cities and capitals such as Rio, Budapest, London, Krakow, etc. Novaxia is the leader in real estate development capital. Its business involves providing a return on investor contributions by injecting new life into outdated urban assets. With dual expertise in finance and real estate, Novaxia has developed a unique approach that combines the interests of the various parties involved in a project: investors, owners, elected representatives and local authorities, and lessors. Its objective is to ensure all stakeholders benefit from the value creation that results from recycling outdated urban assets (buildings, warehouses, wasteland) and the creation of living environments. Each project is included in a range of funds governed by the AMF and intended for private and institutional investors. Launched in September 2016 and designed to meet the expectations of Millennials and anyone who embraces their attitude to sharing, spontaneity and experience, JO&JOE is the latest Lifestyle addition to AccorHotels’ Economy brand portfolio. This new hospitality concept blends the best of hotel, hostel and private-rental formats. JO&JOE offers a completely revisited experience in terms of design, food & beverage, service and customer experience. The brand aims to expand rapidly in international markets. The brand has already committed to opening locations in leading European and global cities such as Rio, Budapest, London, Krakow, etc. This entry was posted in Hotels, Travel, Travelers and tagged AccorHotel, François LECLERC, JO&JOE, Joachim Azan, Novaxia, open house, paris. Bookmark the permalink.